After a couple of months of planning, we are delighted to announce the launch of our new … [Read More...] about Welcome to our new website and blog! One of the most challenging holes to dig yourself out of is a financial pit. Countless smart, well-intentioned people have found themselves struggling with debt and keep themselves afloat. Perhaps it was changes with your employment, divorce or health issues that left you struggling under the weight of debt. On top of that you now face collection letters, wage garnishment, bank levys, utility shut off notices, creditor telephone calls and even eviction or foreclosure. Fortunately, solutions do exist, and there are ways to get back on your feet quickly and get your financial foundation on the right track. We recognize that there is a certain stigma, however undeserving, that surrounds bankruptcy, and in many cases this stigma is precisely what holds people back from the most appropriate and effective solution. Don’t let financial stresses affect your life or your family. 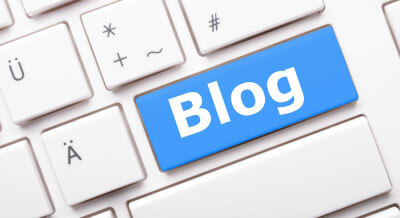 We can sit down with you and develop a plan that is best suited for your situation. Whether that means filing Chapter 7, Chapter 11, or Chapter 13 bankruptcy, the Bankruptcy Law Group at Robert Johnson, LLC can help you understand your options and get you the help you need. Our knowledge and expertise encompasses hundreds of individuals, businesses, fiduciaries and trustees in the Federal and State Courts of New Jersey. We use that wealth of experience to ask the right questions in order to assist and achieve our client’s goals. We run an operation that is small on luxury but big on client service. 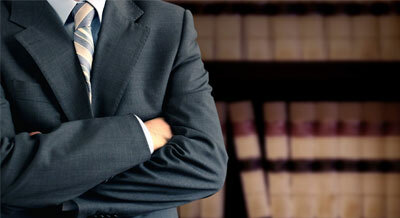 Our goal is to offer personalized legal solutions which best suits your needs. Our practice is the opposite of what a large law firm offers. We do not offer mass production legal services in which “one size fits all.” Each client’s legal problem is unique and requires an individualized approach. Honesty, commitment and respect are hallmarks of our practice which we strive to demonstrate on an individual basis. If you are in need of a qualified, experienced, and personable attorney that can help you better understand your options, you have come to the right place. We serve clients throughout Central and South Jersey with our main office in Cherry Hill. We also maintain satellite offices across the state of New Jersey on an individual basis. Additionally, we provide bankruptcy services out of the Law Office of Villani & DeLuca for Jersey Shore residents interested in filing for bankruptcy. We have flexible hours, with night and weekend appointments available to fit into your busy schedule. 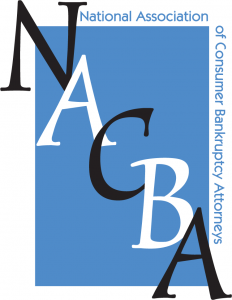 We are a federally designated Debt Relief Agency under the United States Bankruptcy Laws. We assist people with finding solutions to their debt problems, including, where appropriate, assisting them with the filing of petitions for relief under the Bankruptcy Code. Also, the firm assists clients throughout New Jersey in Burlington County, Camden County, Gloucester County and Mercer County, including Allentown, Atlantic City, Beverly, Birmingham, Bordentown, Burlington City, Burlington Township, Camden, Cherry Hill, Chesterfield, Columbus, Delanco, Delran, Deptford, Egg Harbor, Evansham, Ewing, Florence, Fort Dix, Gloucester Township, Groveville, Haddonfield, Hainesport, Hamilton, Hamilton Square, Hopewell, Jobstown, Juliustown, Lawrence Township, Lumberton, Marlton, Mercerville, Moorestown, Mount Holly, Mount Laurel, New Lisbon, Pemberton, Pennsauken, Princeton Junction, Rancocas, Riverside, Roebling, Robbinsville, Stratford, Trenton, Voorhees, Westampton, Williamstown, Willingboro, Winslow, Woodbury, and Wrightstown. Mr. Johnson has spent his career representing clients in U.S. Bankruptcy Court and New Jersey insolvency proceedings. At the Bankruptcy Law Group at Robert H. Johnson LLC, we will assist you in moving forward, rather than looking behind. I would be more than happy to discuss your situation and educate you regarding bankruptcy and insolvency law with you free of charge. We specialize in bankruptcy and insolvency law and do not devote our time or resources to other areas of law. his affords us the opportunity to gain large amounts of experience representing Trustees, Debtors and Creditors providing unique insight into all sides of the process. Our experiences in both complex and simple matters are to your benefit.